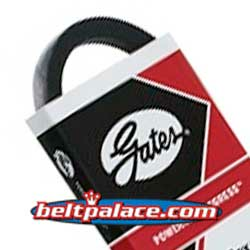 GATES 6845 Powerated V-Belt. KEVLAR WRAPPED, 1/2" W x 45" L.
4L450K Kevlar FHP V-Belt. Consumer Brand. 4L450K FHP V-Belt. Aramid/Kevlar Consumer Brand. 1/2” W x 45" Length. 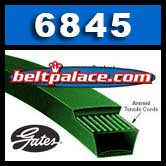 Replaces Classical A43K V-Belt on light duty applications.